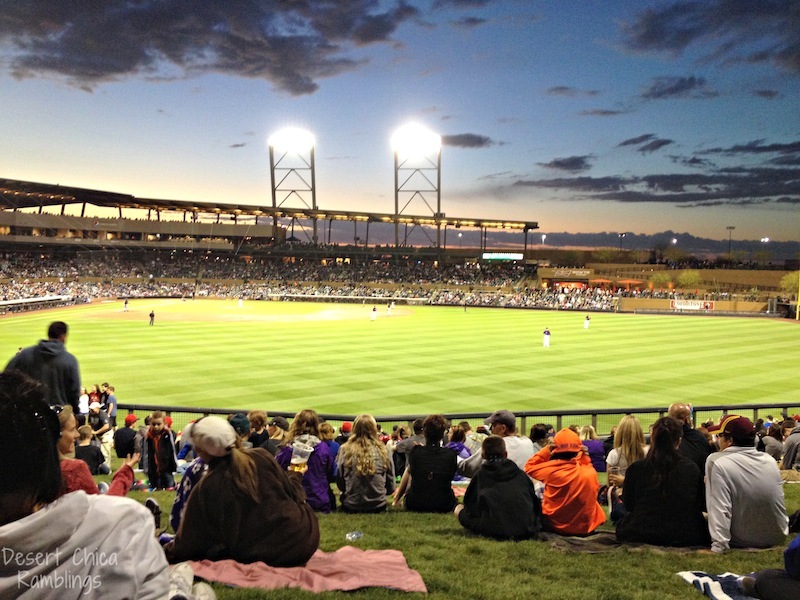 It’s that time of year again…Spring Training for Major League Baseball descended on Arizona over the past few weeks. Avid baseball fans rejoice at the prospect of a good year ahead and come to check out new talent and old favorites. For those of us who live in the Phoenix/Scottsdale area we breathe a sigh of relief each year when the baseball tourists finally clear out. Not that we don’t appreciate them – after all, the ridiculous add-on fees to rental cars, hotels and baseball tickets are what keep our property taxes down. But after a month of crowded roads, restaurants filled to the rafters, and way too many sightings of white legs in Bermuda shorts, we’re happy that this week brings an end to the annual rite of Spring. On the upside, Spring Training brings with it an abundance of good people watching. Similar to the Phoenix Open golf tournament, hoards of young women see this sporting season as their opportunity to meet (and perhaps marry!) either a rich athlete or a wealthy sugar daddy. Resplendent in their spike heels and halter tops, they cruise the ball fields like mongoose seeking its prey. Just to give you a sense of how versed these women are in the sport they watch, a friend told me the other day that at the Phoenix Open a young lovely asked if my friend knew who the golfer was on the green. Without missing a beat my friend responded, “Ben Hogan“, which generated a knowing nod from the questioner, clueless and no doubt tucking that little piece of info into her memory bank so she could later brag to friends about seeing Mr. Hogan in action. The “super fans” are also worth watching – those people who don everything with their team’s logo, from hat to socks. One can only imagine why they dress that way. More perplexing still are the people who have jersey’s configured with their own names on it – as if anyone would believe that the balding, 250 lb. fan once was a baseball god. The final numbers on Spring Training attendance won’t be out for another week but pre-season predictions were that it would be a “down” year. And that was before we had unprecedented rain, cold and snow. I can’t imagine anyone with a lick of sense is surprised by that. I took a look at the pricing for tickets to the San Francisco Giants game the other day: $442 for the box behind the dugout. For ONE game! Just for comparison, in 1973 a box seat for the whole season was $468. Granted, you can get a seat on the lawn for $25 (actually the only “seat” is yours, planted on a sloping piece of grass) but I can tell you from personal experience that sitting on a lawn for an entire baseball game is highly overrated unless you’re 20 years old. I was thinking about this pricing the other day when I read about Mike Trout’s $430M contract with the Angels. How can a baseball player possibly be worth that much? 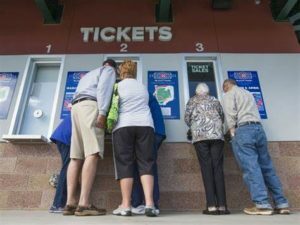 Today’s tickets are outrageous and out of reach for most families, while the average MLB salary in 2018 was $4.47M. So now even Spring Training baseball joins the ranks of football, hockey and basketball in being unfriendly for family outings. Clearly there are plenty of people who can afford to attend these events. In 2017 Americans spent $56 billion (yes, that’s a “B”) to attend sporting events, according to a study by CreditCards.com. The amount includes the cost of tickets, transportation, and food and drinks. If you want to buy a hat you can tack on another $20. If you have a lot of kids who want a hat…good luck. Just to put the $56B in perspective, it’s more than double the $27 billion-plus that was spent on book purchases in 2015. America – what a country!